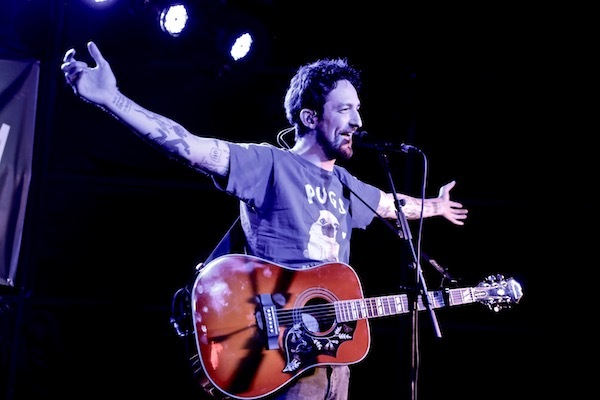 One would be hard pushed to find a better candidate to play the 25th birthday of one of Britain's best small venues (as voted by the NME) than Frank Turner. Following last months release of 'Songbook', a collection of Franks most significant tunes, as well as alternative versions of others, the man is back on the road, starting at Tunbridge Wells.Modest claims of "forgetting how to do this after a few weeks off" were received skeptically, as he appeared to have the crowd wrapped around his little finger from the first minute to the last. 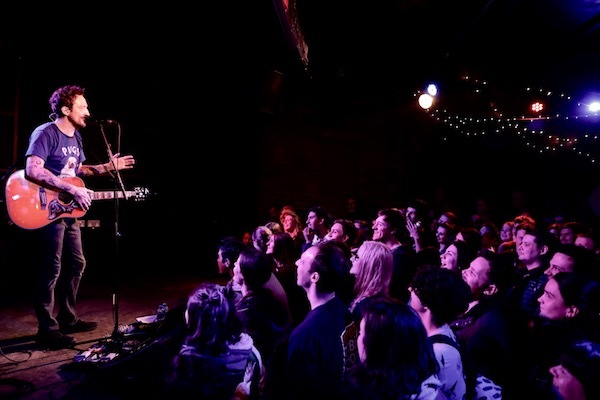 The fact that the gig sold out in just under 30 seconds can't have done him any harm. 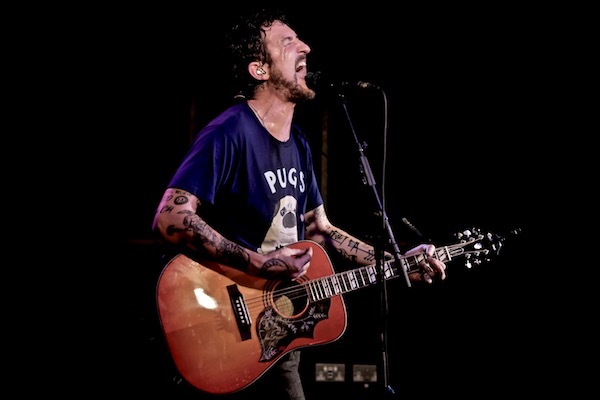 The set began with new song 'Be More Kind', a somber, compassionate song epitomizing what live shows should be about, and the underlining message he has portrayed in his music over the past 10 years. The melancholy ambiance was clearly never the intention for the rest of the show, as '1933', another new song, had Turner bursting with angst, questioning the the approach to change by some in today's political climate. 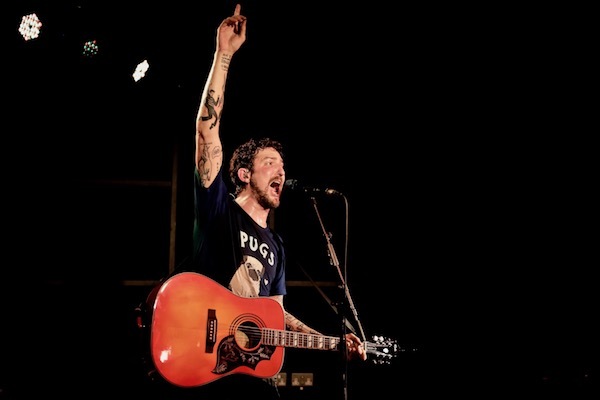 Frank Turner seems to touch the audience through such legitimacy in his lyrics, couples gaze into each others eyes longingly during the love songs, crowd surfing and mosh pits accompany the protest songs. Stories of nights out in Tunbridge Wells resulting in spontaneous 4am flights to Amsterdam go down well, as do heartfelt rants on the importance of small venues. Frank is grinning from ear to ear through most of his set, rest assured he is enjoying his first gig of 2018 as much as anyone in the room. Perhaps Franks personal highlight of the evening was ordering support act Sad Song Co's Nigel Powell (also drummer in Turners band, The Sleeping Souls) to crowd surf to the stage from the back of the room to take up harmonica duties. 'Queen's' classic 'Somebody To Love' has become a regular part of Turners set and is tonight's penultimate tune. 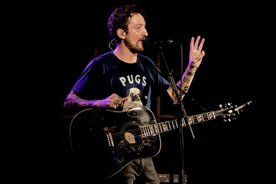 As Frank Turner ends with 'Get Better', I see a man on stage dripping with sweat, broken guitar strings hanging and making more noise with an acoustic guitar than most manage with any amp. This is not what Folk singers are supposed to look like, but this is no ordinary folk singer.